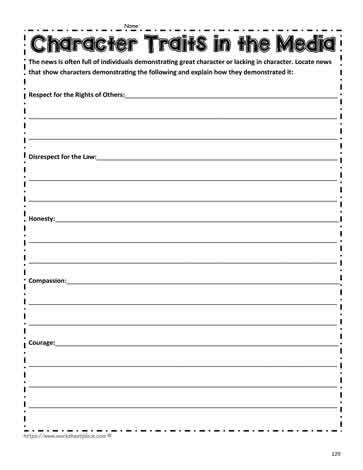 Look or listen to news articles and determine which character traits are missing or in place and provide evidence. For instance, for a theft, honesty was missing along with responsibility. Great for learning about character education.